← Just Talking About…Making Tracks! March 19, 2016. Our remarkable, ever-surprising country has a case of Berniemania and Trumpitis, with a low-grade Cruz-Hillary fever. 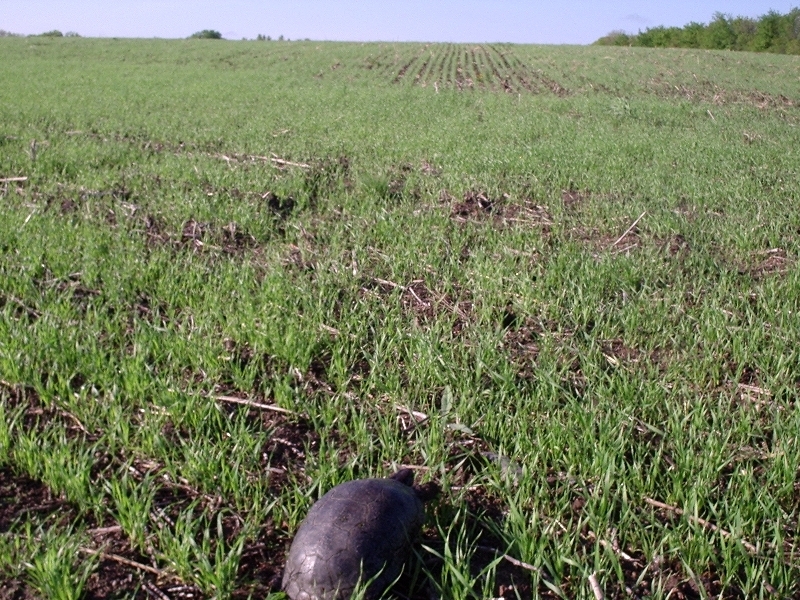 Driving the highway a few weeks back, pondering all this, I passed a place where, over a decade ago, I’d saved a turtle’s life and then wrote a poem about it…. at the center of the southbound lanes. a female Blanding’s turtle takes a chance. colliding with the freight train of us. long life, and silly annual pilgrimage of hope. head stretched to the limit, watching the traffic. across three lanes to where she was going. legging it to safety, in love with a turtle. Now on that drive a few weeks back, the place I’d saved the turtle was under construction. A complete re-do of the interchange, just one in a series of several multi-year upgrades to the major highways in the metro intended to shave time off the average forty-five minute commute hereabouts. It was also, I am sure, a missed opportunity to stem the attrition of uncommon species from the region’s roster of wildlife. You have your starlings, house sparrows, robins, deer, raccoons, and other abundant animals who’ve adapted quite nicely to people—and then you’ve got your Blanding’s turtle and their like. I happened to have examined every historical record of this species in the metro for a project some years back and learned that the dates of last record for this species correlated with the presence of major highways. In areas of several to dozens of square miles ringed by major highways, nobody has reported this species in a couple decades or more. 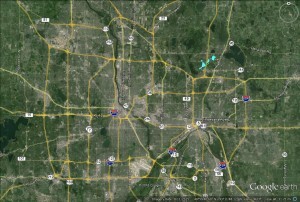 In contrast, similarly large places at the edges of the metro have a record of Blanding’s turtle up to the recent past. Why is this? One explanation is that the females, who walk up to a mile from their wetlands to sandy, sunny places to lay eggs, are killed on roads. Since this species can live possibly for a hundred years, you might still find males, but if the fertile females are gone, the population eventually will wink out. Raccoons pillaging eggs are another reason, but if females are common enough, some nests go undiscovered. Inside the main highways in yellow, records of Blanding’s turtle sightings are getting old. 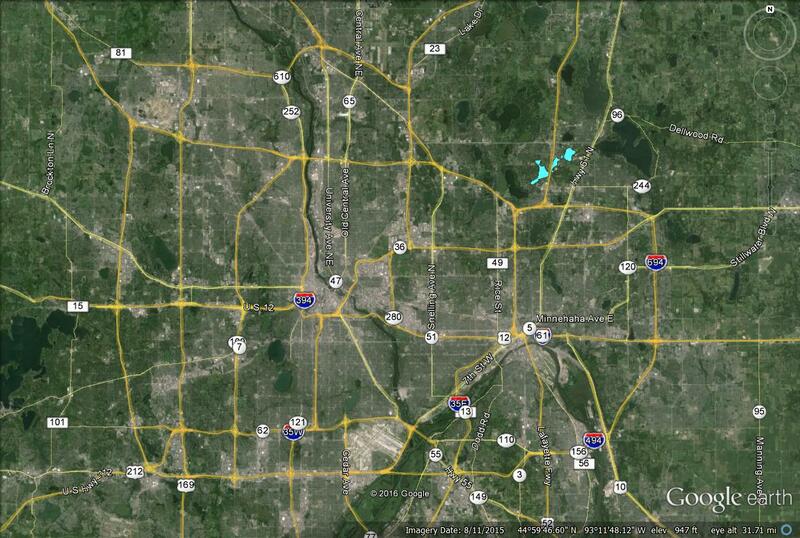 The place where I met a Blanding’s turtle on the Interstate. 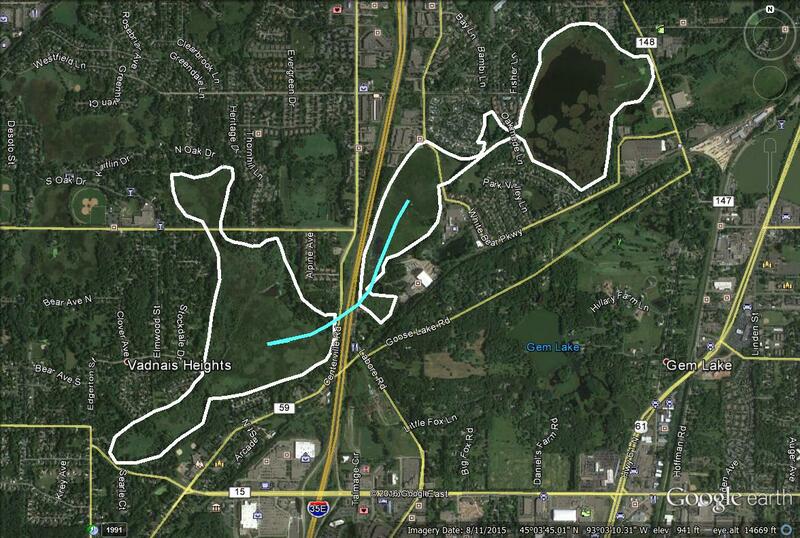 White outlines her wetland territory and the blue line was her path across the highway. That’s what the turtle was doing—coming or going from laying eggs—when I passed her going fast on a day in June, the month egg-laying usually happens. I’ve moved other turtles in June—including another Blanding’s at my office in Spring Lake Township. 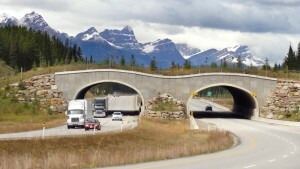 Underpasses and overpasses have been built to help wildlife cross highways, but not often. There are some marvelous ones in Europe and a few in western North America (http://arc-solutions.org/new-solutions). 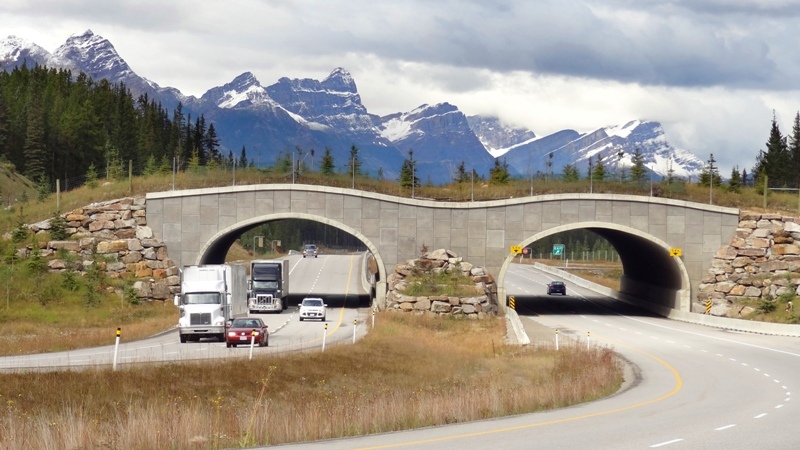 But for the most part, wildlife-safe crossings are too expensive—they might add one percent to the cost of a highway project, and that is too much in the minds of most transportation planners and elected officials. Why that point of view? Why that perspective when a quarter to a third of all species in the Midwest exist in small or steadily-shrinking populations? You have to chalk it up to a) not knowing, b) not understanding, c) not being careful enough, or d) not valuing. Possibly a bit of all these. Yes, every highway project runs the regulatory gauntlet to discover the obvious environmental problems. There are often biologists involved offering their opinion on the effects of projects. Too often, though, the analysis is a narrow one for any number of reasons. As a result, the need for a wildlife crossing to aid a Blanding’s turtle or bull snake or another uncommon, declining species that crosses roads does not rise to the top of concerns. What might have happened to give a turtle crossing the road a better chance of making it? 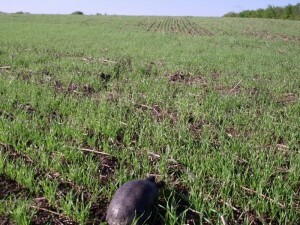 First, I could have reported the turtle to the state natural heritage program. That record would have shown up in an environmental review for the highway project. 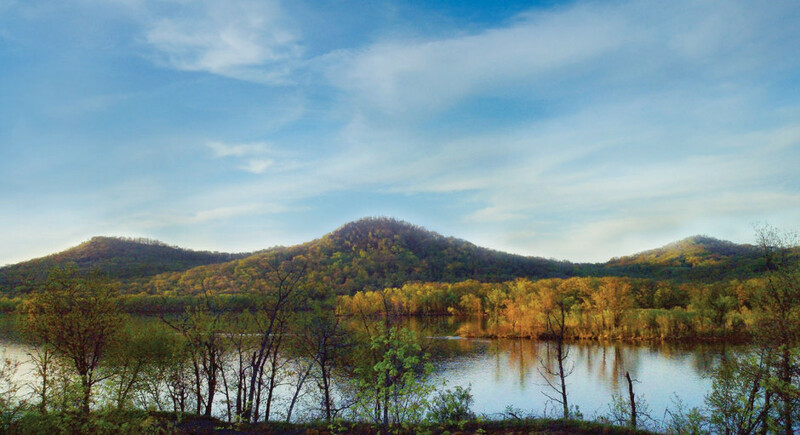 Second, somebody parsing the information for the environmental review would have had to understand the situation facing Blanding’s turtles in the metro—highway encirclement and slow attrition. I doubt people understand this—my report is buried in somebody’s files at the natural resources department. Then there’s the thoroughness of the review—a professional did the very best job of looking at environmental issues, but perhaps wasn’t able to spend enough time delving into all the issues because…time is money and schedules are tight. 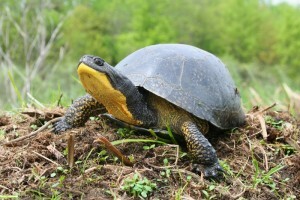 Lastly, what is the need of one Blanding’s turtle against the needs of hundreds of thousands of people speeding down the Interstate? Pretty puny by comparison.